Looking at the weather forecast last night - calling for temperatures downpours all day long with a low of 17 and high of 47, I thought that maybe we would have a 1 or 2 hour delay this morning. Maybe. But I wasn't going to hold my breath. But when my alarm went off at 5:20 and I had a text waiting for me saying NO SCHOOL. I was shocked! I didn't believe it at first. I thought for sure it was a misprint. So I went to the local news channel website to check the closings. Then it was confirmed. No school!!! rather stylish - don't you think? This great gift gave me a whole day to hang out with the kids, spend time with the husband who actually had the day off, and get in a great workout! I wasn't quite sure what today's run was going to be like. I knew I was going to run. That's a no brainier. I wanted SO badly to run outside. Around noon it was 47F out there and it was misting. I told Ward I was going to change and go for a run outside. But after I changed and was all set to go, I opened the door and it started to downpour. To make matters worse, a truck drove by at that exact moment and hit a puddle (which are everywhere since the melting snow/rain has no where to go!) and made the biggest splash ever. I imagined a miserable run, soaked to the bone and cars splashing me. Umm.... never mind. What kind of January weather is this? Crazy! I quickly went back upstairs, changed into my favorite Spandits skull capris, grabbed my Topos, and paused to check my email. I had just received an opportunity to review a Motion Traxx. Talk about perfect timing!!! I downloaded the first 20 minute session onto my phone and took off for the gym. Driving of course! I had never tried a HIIT workout before. 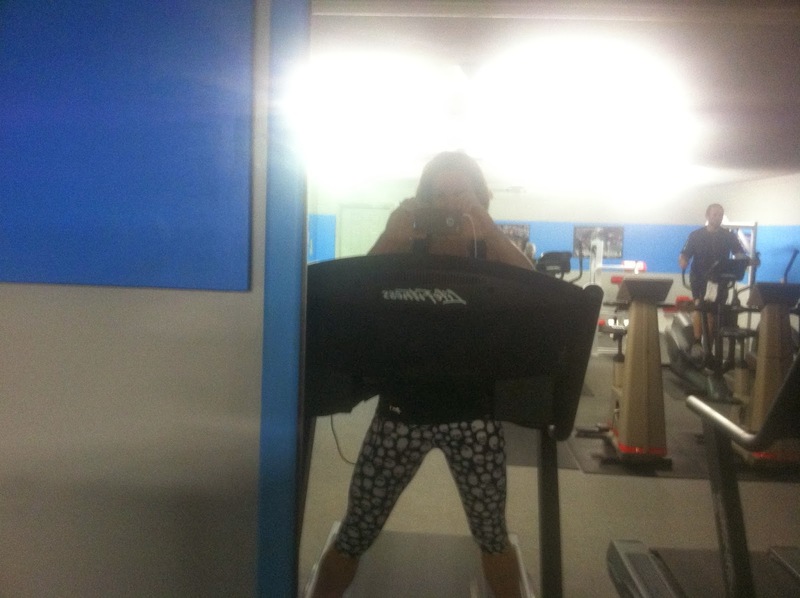 I chose workout 1 of Treadmill Express. Which consisted of 20 minutes of a High Intensity Interval Workout. Without giving you all of the details about this workout - it consisted of a warm up, speed intervals @ 1.0 inclines @8.0 inclines, max intervals, and cool down. A quick workout but a rather intense one. This workout was a definite challenge. Amy Dixon, a former Women's Health Magazine contributor, was the "voice" behind today's treadmill workout. I found the entire workout incredibly motivating and it challenged me in ways I never would have challenged myself before. 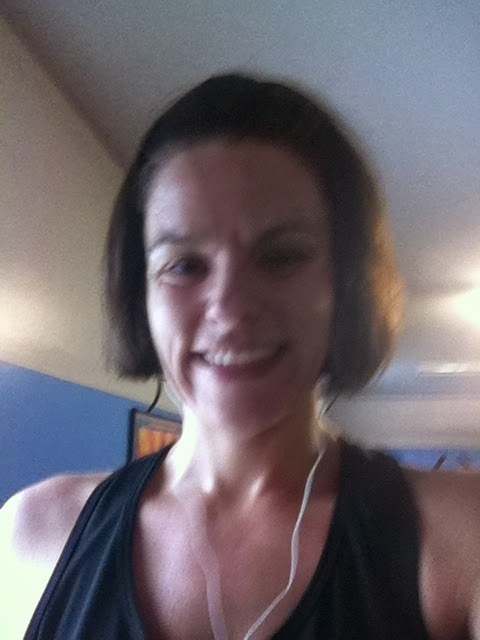 In 20 minutes, I completed 2.5 miles and there was even a 2 minute walking cool down in there too! Damn! Even better, after I completed the workout and took out my Koss earbuds, a gentleman on the elliptical behind me called me a showoff with a big smile on his face. A complete boost to the ego. That's for sure. I contemplated doing more mileage, so I took a few minutes and rowed 1,000 meters. Regained my composure and hopped on the treadmill again to do another 2 miles at an 7:55 min/mile. Today's workout was a big boost. I feel far stronger. I'm making better decisions when it comes to my workouts and I'm so ready for a new year of racing! While I don't have my races planned yet, I know those empty spots are going to fill up with some great races! If you are interested in a Motion Traxx HIIT workout, you can follow them on twitter or Facebook and checkout their treadmill, elliptical, or cycling express workouts. Each digital album comes with 3 different high-intensity workouts with voiceover coaching and high energy music. Next week I'm trying treadmill workout 2. I'm sure it's going to be intense! Disclaimer: I received a free download for the Treadmill Express through my affiliations with FitFluential. I was not compensated for this post. As always, all opinions are 100% my own. I'm a big fan of podcast workouts for the bike & treadmill, although I seem to do WAY more bike ones than I ever did on the TM. Oh my! You tried them all. That's ambitious!!! I'm going to have to get on the podcast kick...seems to be working for you!!! That's fun when random people comment on your workouts - kinda creepy because you know they were watching you, but cooler because you know they were impressed. looks like some treadmill fun! Awesome, Jen. I think HIIT would make treadmill running so much more interesting. 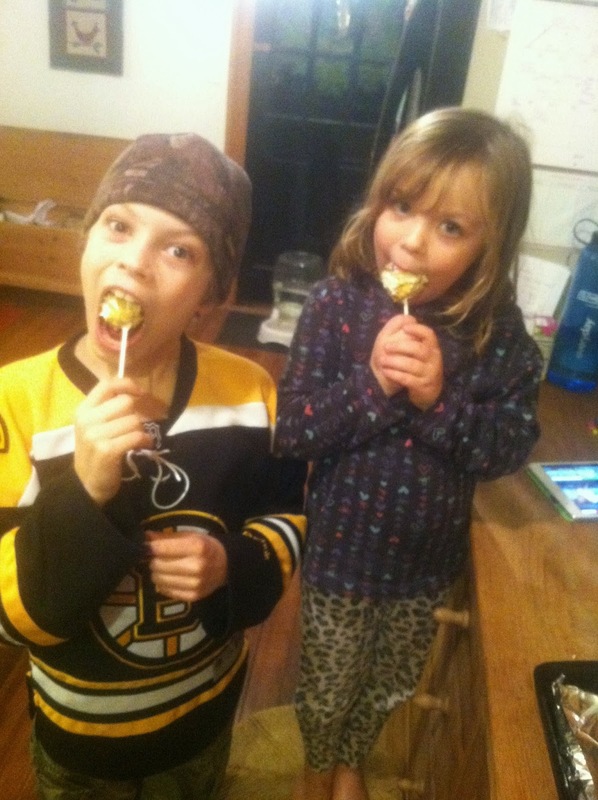 Cake Pops sound like the perfect way to celebrate a snow day!